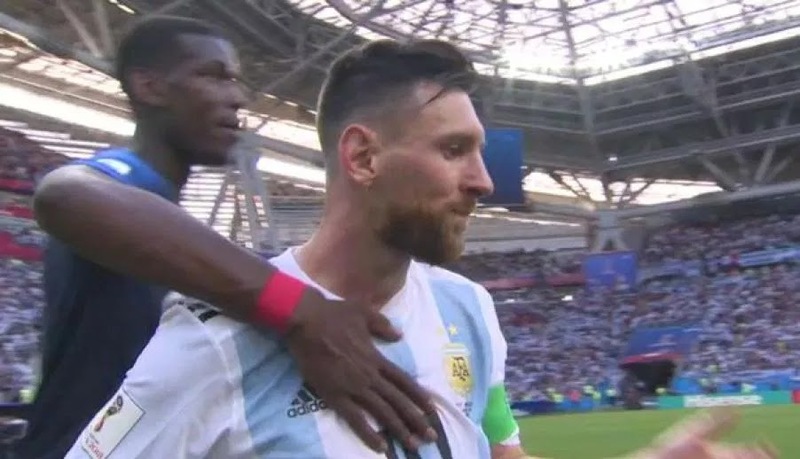 The Barcelona legend notched an assist on the day, but was unable to bring home a victory, as Les Bleus ran out 4-3 winners over the two-time champions of the tournament. Antoine Griezmann opened the scoring from the penalty spot for France, after man of the match Kylian Mbappe was pulled down in the box by Marcos Rojo. 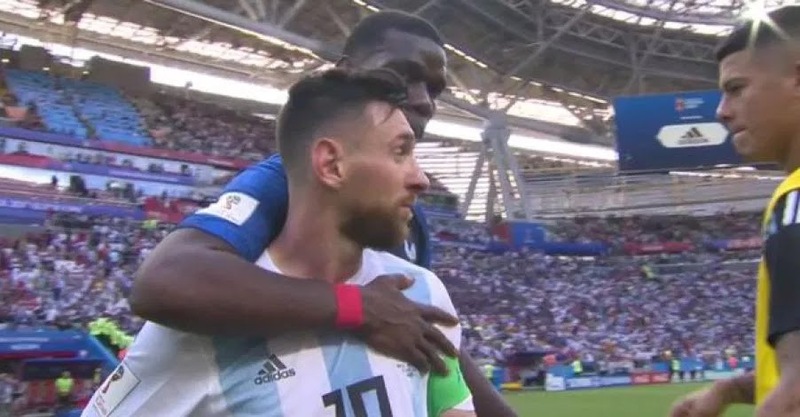 Angel Di Maria leveled the scores with a powerful strike before Gabriel Mercado latched onto a Messi shot to beat Hugo Lloris in the France goal, and put Argentina in front. 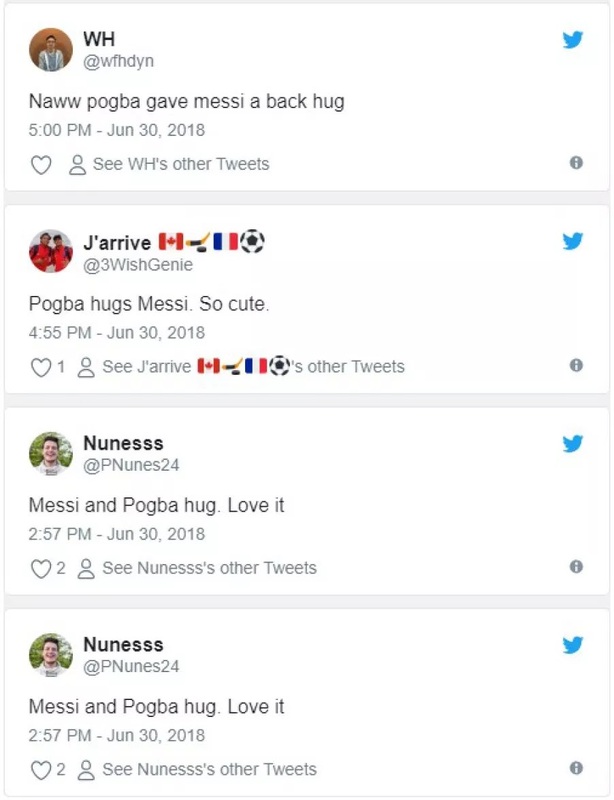 Benjamin Pavard then gave a wondergoal of his own to level the scores once more before an Mbappe double won the match for France. Sergio Aguero bagged a late consolation, reducing the deficit to a single goal, but it was too late for Argentina. After the match,it was reported that a number of Argentina players burst into tears on the pitch. 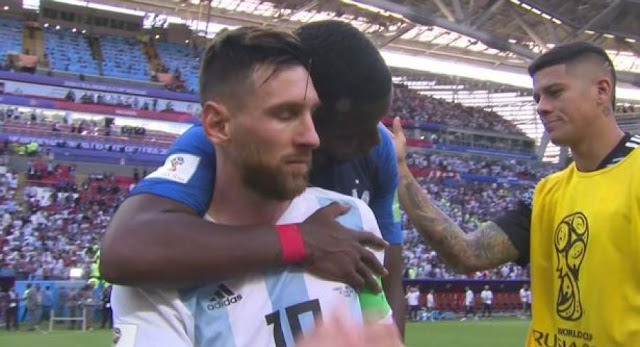 The cameras focused on Messi, who looked devastated, but managed to keep it together as players from both teams consoled him. 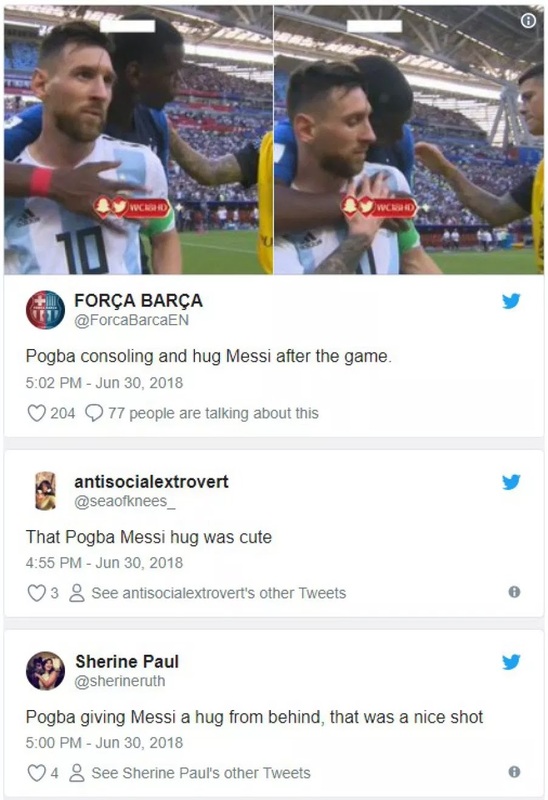 Paul Pogba was then seen creeping up behind the Barcelona star, and surprising him with a quick hug.